Foodservice film is one of the most important supply items in the commercial kitchen. It protects loose ingredients and open packages from odor, moisture, dryness, and freezer burn. Transparent by design, it lets employees identify stored items quickly. It’s heavy duty with excellent cling, stretch, and puncture properties. myBoelter foodservice film is available in 12”, 18” and 24” boxes. The cutter box includes hand holes for easy transport as well as an improved cutting edge. A clear choice for chefs and industry leaders, foodservice film will keep meet, cheese, sauce, soups, and produce fresher longer. 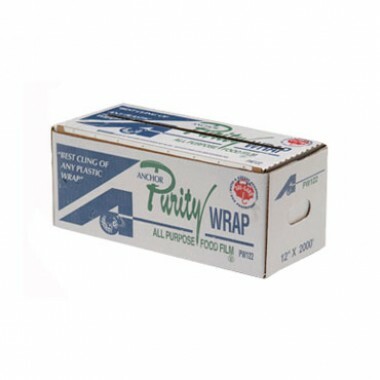 Anchor Packaging E1565 Perforated Cling Wrap Sheets - 6"x5"
Anchor Packaging 2120120 Perforated Cling Wrap Sheets -12"x12"